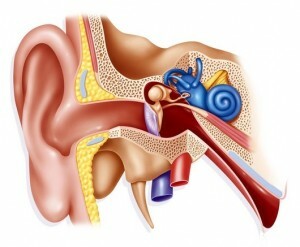 Your ears have three parts, the external, middle and inner parts. The inner part has the sensors that transform the sounds into nerve signals that your brain reads. It also contains sensors (the vestibular system) that transform movement of the head into nerve signals so your brain knows where you are in space. Your vestibular system has two sections, one that measures linear (forward, backward, up, down and side to side) movements, these are called the otoliths and they use little rock-like crystals in the sensors. The other are the semicircular canals, and they have sensors that measure circular or spinning types of movements. They are filled with a fluid. As the fluid moves your brain uses this movement to detect head movements. The fluid should really only move when your head moves. Sometimes the crystals from your otoliths fall off due to trauma, aging (the incidence of BPPV increases with age), or just as a spontaneous event. They can then get stuck in your semicircular canals. As you move, the crystals then start to move, and may keep moving even after you stop. This tricks the brain into thinking you are still moving even when you aren’t. 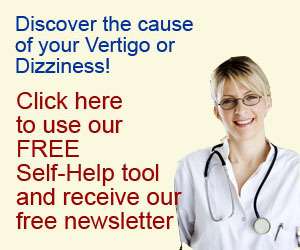 Vertigo, dizziness and sickness is the result. Treatment aims to remove the crystals from your semicircular canals and readjust your brain’s balance mechanisms.